Direct Lateral Interbody Fusion (aka DLIF): fusion procedure where spine is accessed from patient’s side. What is Direct Lateral Interbody Fusion (DLIF)? Direct Lateral Interbody Fusion, or DLIF, is a minimally invasive surgical procedure for treating leg or back pain caused by degenerative disc disease. Unlike traditional anterior or posterior approaches to back surgery, DLIF approaches the lumbar spine through the patient's side. Approaching through the side helps the surgeon to avoid major muscles of the back. Who needs Direct Lateral Interbody Fusion (DLIF)? Direct Lateral Interbody Fusion is recommended for patients of degenerative conditions, deformities, and injuries that can lead to spinal instability. If the instability of the spine exerts pressure on the spinal cord or spinal nerves, it can cause back pain, leg pain or muscle weakness. These symptoms can extend into the hips, buttocks, and legs. DLIF is recommended only if these symptoms persist for a long period of time and have failed to be treated with conservative treatments such as rest, exercise, physical therapy, and medication. What are the steps involved in Direct Lateral Interbody Fusion (DLIF)? Following are the general steps involved in the DLIF surgery. The patient is given general anesthesia. The surgeon then makes two small incisions in the side of the patient. These incisions are very small as compared to the traditional incisions made in the back surgery procedures. The surgeon inserts a probe in one of the incisions. The probe stimulates and detects the nerves around the spine and helps the surgeon to avoid the nerves and to leave them undamaged. The surgeon uses the second incision to help guide the surgical instruments. When the probe reaches at the proper position, the surgeon inserts a series of dilation tubes over the probe. This helps to create a larger opening. The surgeon then inserts a retraction device over the dilation tubes. This device helps to move aside the muscle tissues and to provide access to the spine. The surgeon operates through the channel created by the retractor device and removes the damaged disc. The surgeon then places an implant filled with bone graft in the empty disc space. 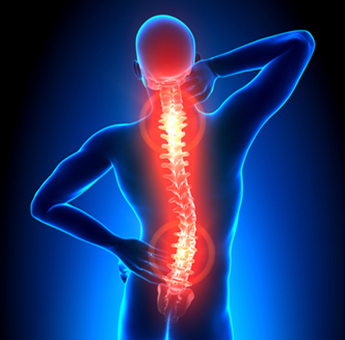 The implant realigns the vertebral bones and lifts pressure from the pinched spinal nerves. The bone graft will grow and form a fusion to connect the vertebral bodies. The retractor device is removed and the incisions are closed. The wounds are cleaned and medical bandage is applied. What happens after the DLIF surgery? This surgery may be performed as inpatient or outpatient surgery. Your doctor will advise you what option is best for you. The patient is often able to walk around the day of the surgery and able to return to normal activities after a few weeks. The physician will have a specific rehabilitation plan for the patient, which may include daily light exercise.